La Dolce Vita is one of the most famous films ever made, a scandalous hit that gave the world not only the phrase and idea of its title but also the term paparazzi. It is a film about gossip and news that was itself news, and is based in the news stories, fashionable people and actual fashions of its time. 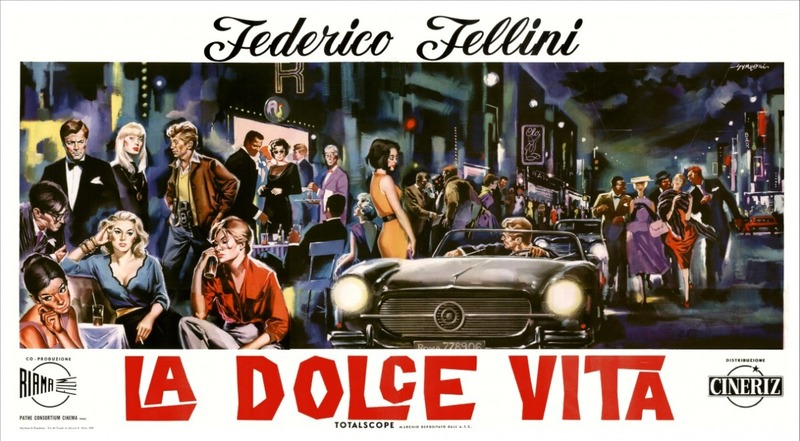 This talk looks at this whole process, the real and fictional images of Rome, which La Dolce Vita draws on, the way it relates to neo-realist cinema in its use of non-actors, location, shooting and episodic structures, and the way that it transmutes them into symbol and spectacle. La Dolce Vita is rooted in the real, and yet refuses to present itself as realist, always conscious of the way the media constructs our perception of reality. Richard Dyer studied French at St Andrews and Cultural Studies at Birmingham Universities. He taught Film Studies at Warwick University and King’s College, London. He has been a visiting scholar in Antwerp, Bergamo, Chicago, Copenhagen, Naples, Melbourne, New York, Salerno, Stanford, Stockholm, Vienna, Weimar and Zürich, and has lectured widely. His books include Stars, Only Entertainment, White, The Culture of Queers, Pastiche, Nino Rota and La Dolce Vita. He is a Fellow of the British Academy, and has received honours from the Society for Cinema and Media Studies, University of Turku, Harvard University and the British Association of Film, Television and Screen Studies. Drinks will be offered after the talk.